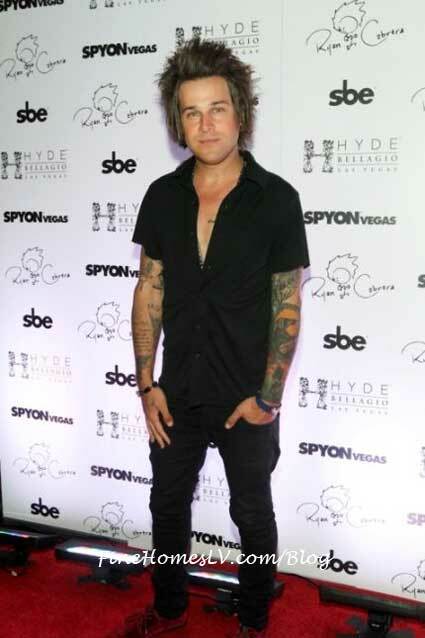 Singer-songwriter Ryan Cabrera performed a special acoustic set at Hyde Bellagio Las Vegas as part of the nightclub’s weekly Live Music Thursdays. Escorted by a small entourage, Cabrera arrived at the sleek hot spot wearing dark jeans and a short-sleeve black button up. He posed for pictures on the red carpet, showing off his tattoos including his talked about portrait of Ryan Gosling. Before heading inside, he stopped to snap photos with fans awaiting his arrival. Once inside, Cabrera and friends made their way to a plush VIP booth. Perched comfortably on the back of a leather couch, Cabrera soaked up the atmosphere and jammed out to the sounds of opener Red Abbey as the Fountains of Bellagio sprayed in the background. 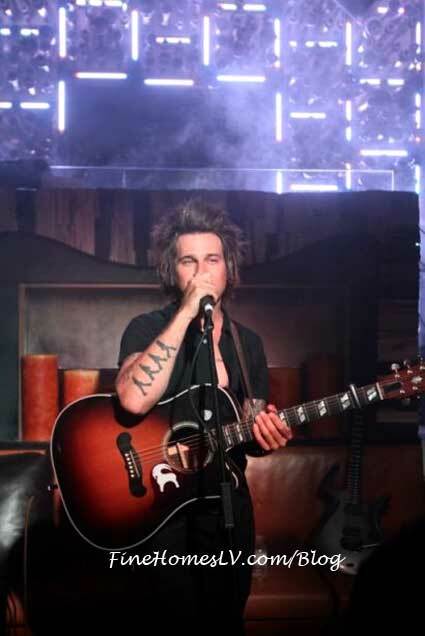 Later in the night, the pop rock singer took the stage to deliver an unplugged performance beneath the club’s dramatic fireplace. 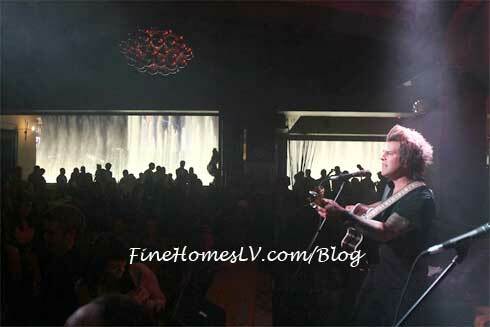 Cabrera announced that he was excited to be in Vegas to do a show for his fans in this laid-back, intimate setting.